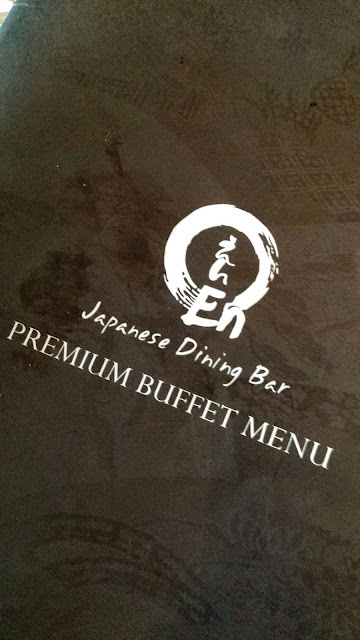 I was brimming with joy when I received the invite to try out the new buffet menu from En Japanese Dining Bar on a Saturday. This is their latest concept outlet, located in the heartlands of Bukit Timah. 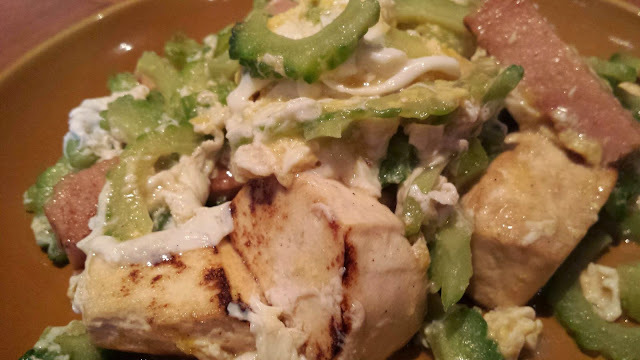 A mix of Yakitori. They were barbequed with the right heat and time. Tasted great. The snow crabs were lightly boiled. 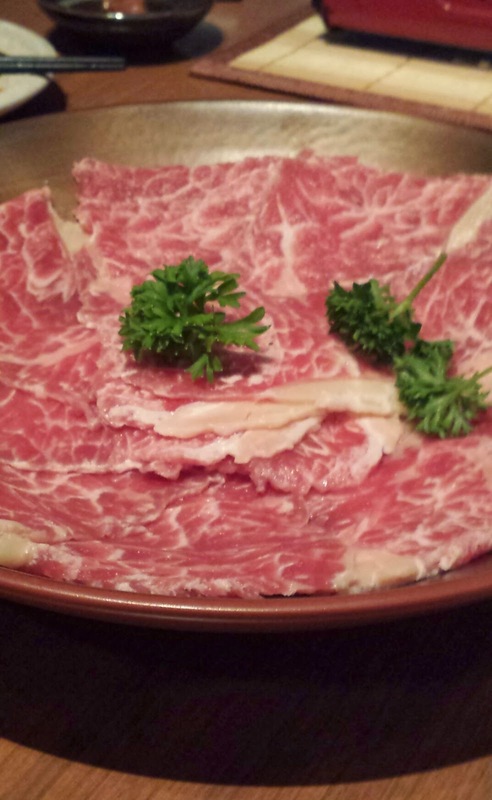 An option to eat it on its own or add to the Shabu Shabu. Yippee! Couldn't resist the beef! That was a lot of protein intake for the weekend. Sushi was superb too, with fresh catch daily. 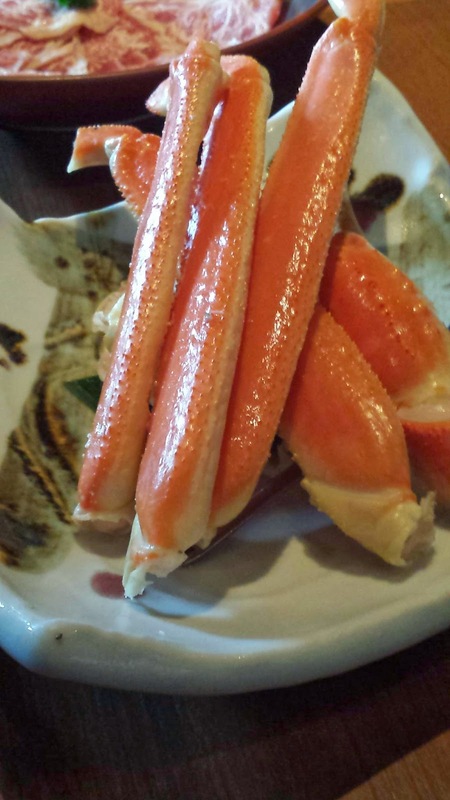 You can be sure of quality food in En Japanese Dining. 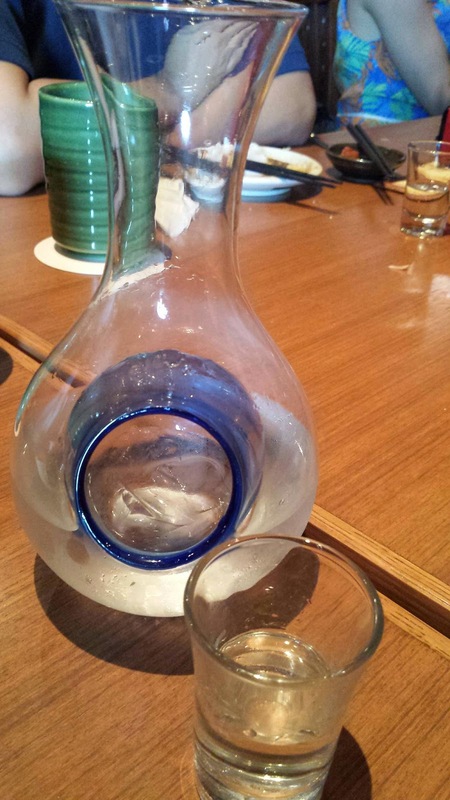 Cold Sake from the Gekkeikan Kasen. It was very easy to drink. Ideal for people like me who gets red after drinks. I didn't get red at all drinking this! 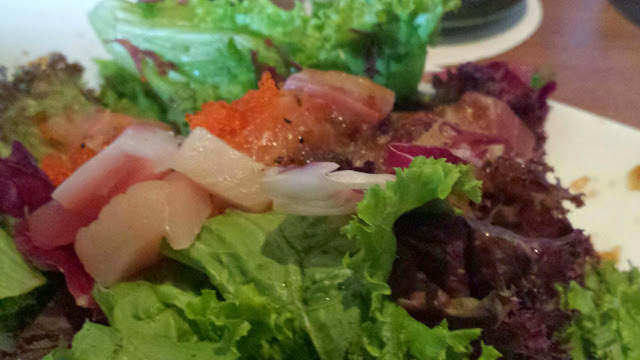 A traditional Okinawa dish, highly recommended by Chef Uto Kazuto. A stir mix of bitter gourd, beancurd and luncheon meat with eggs. 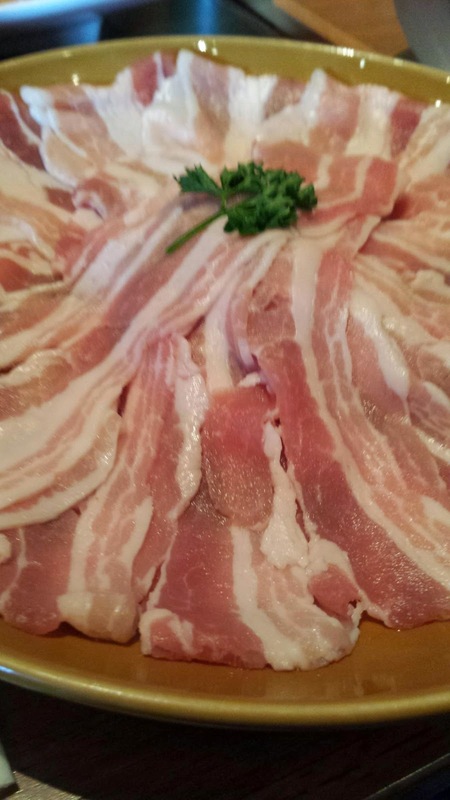 We were surprised"What is luncheon meat doing in a Japanese dish?" Looked like a dish from the Mixed Vegetable rice stall. Oops. Reason was this dish originated from the US troops. They just mixed what they could find, and that's it. Luncheon Meat was part of their ration. 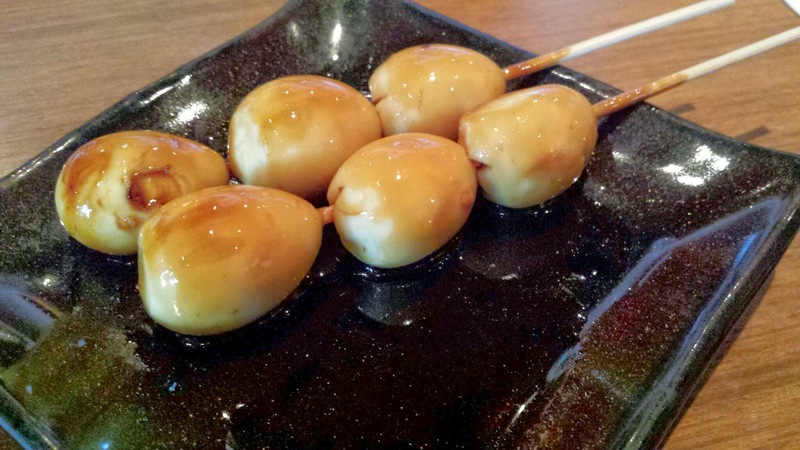 This combination somehow became a great hit and made it to the Okinawa Traditional Dish list. Personally I loved these grilled scallops. Usually scallops tasted bland on their own. 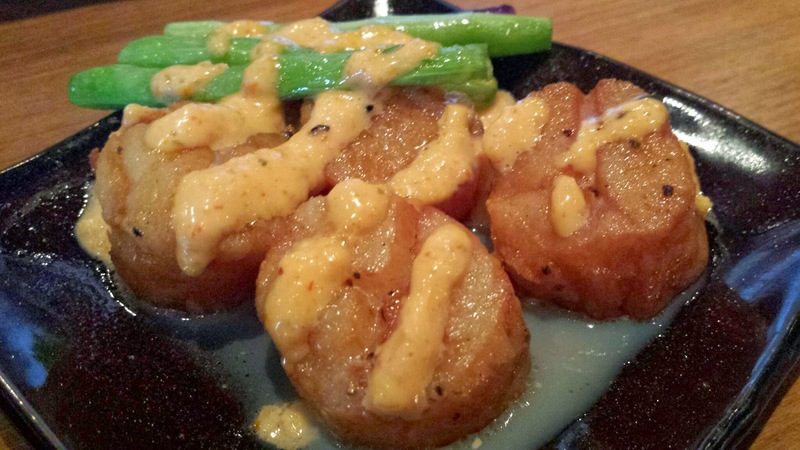 However, chef chose to add Mentai Sauce to them. It was simply out of the world. 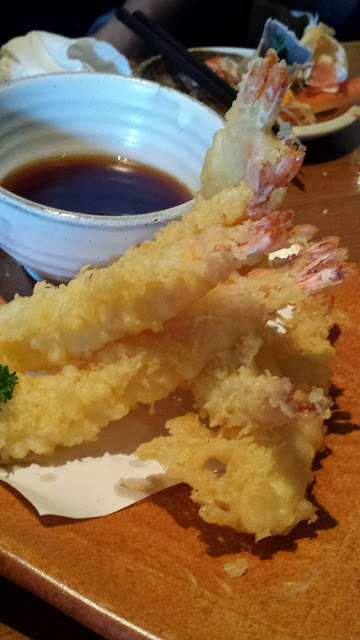 The never go wrong Tempura Prawns. Big succulent prawns fried to perfection. Quail eggs with Yakitori Sauce. Yums. Another Chef Recommendation for carbs. It is similar to the Chinese Mui-Fan. However, the rice were stirred fried before adding on the crab sauce for the finishing touch. It was not oily, very easy to eat. 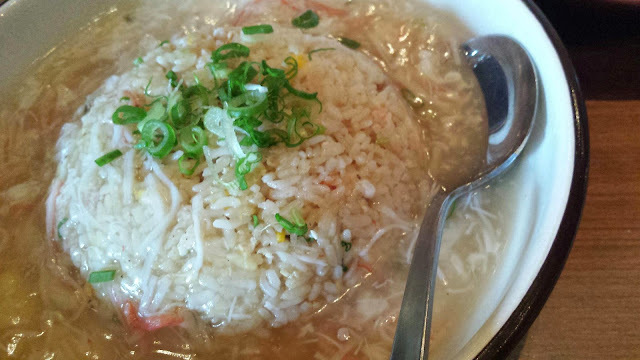 Rice grains were not soggy since the sauce was put at the side. I managed to take a few mouthfuls. 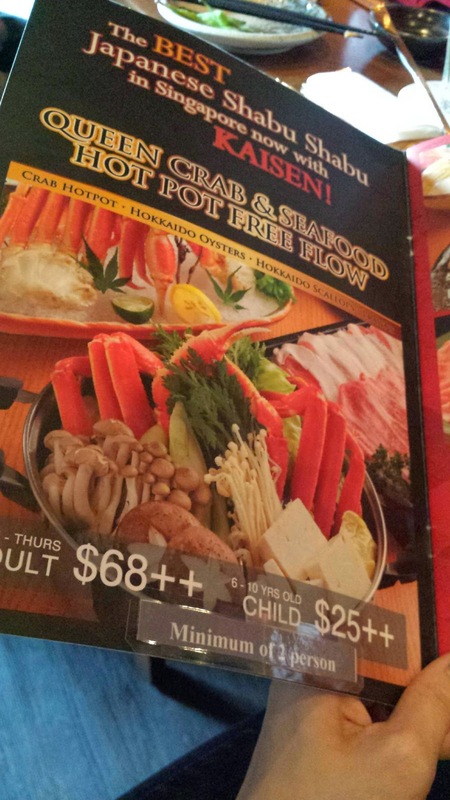 Price is reasonable for shabu shabu and a 100+ items to choose from the buffet! Check out En Dining Bar Premium Buffet Menu. Late night funk and soul with a unique blend of Okinawa folk and boss nova will entertain while you enjoy your meal. 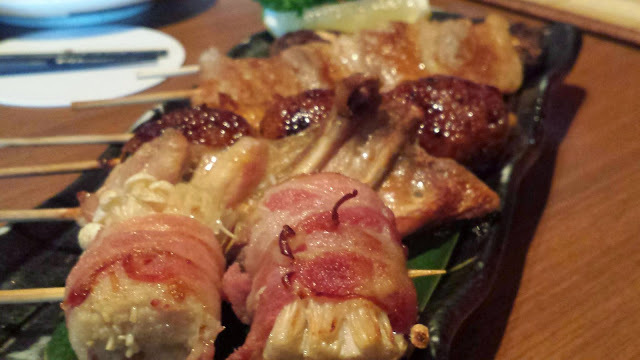 Peeps, I am giving away some vouchers for Complimentary Beef Capaccio or Maguro Tatki. Redemption is valid for a spending of $30 at the outlet. Come on, email me right now at: oinkeebabe@gmail.com. To thank you my readers, please kindly quote "blogger Oinkeebabe" to get 10% off buffet or ala carte dining. This is valid for the whole month of April 2014.